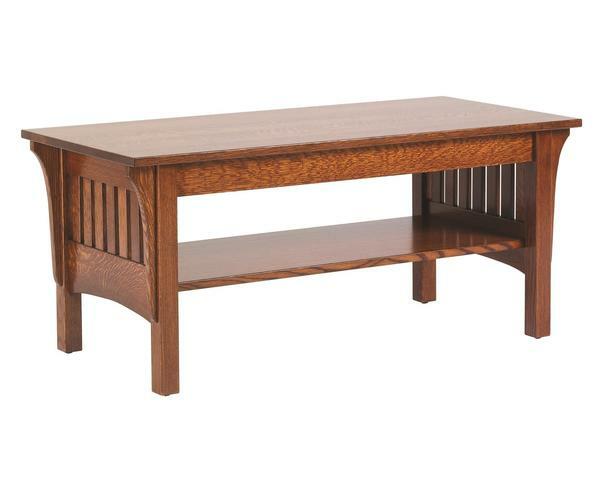 The Fredericksburg Amish Mission Coffee Table is handsomely handcrafted by the Amish in a traditional mission style. Though the mission style has been around for nearly two centuries, its popularity and versatility have not wavered. Feel free to customize the wood type and the stain color to ensure that your unique handcrafted coffee table will match your home decor. Not only will this coffee table look great in your traditional or contemporary living room, it can provide much needed storage with the large shelf and an optional drawer.